Embark on a scenic boat ride to stunning Amiga Island, featuring one of the finest beaches in the region. Your every whim is catered to upon arrival by an attentive staff—savor a complimentary signature cocktail, take a seat in the sun, or cool off in the Caribbean Sea—the choice is yours! Coral formations and colorful reefs are just a few yards away from the pristine beach, while relaxation is enhanced by the lovely panoramic views of the northern Haiti coastline. • Scenic Cruise: Enjoy a scenic boat ride to Amiga Island, one of the finest beaches in the region. 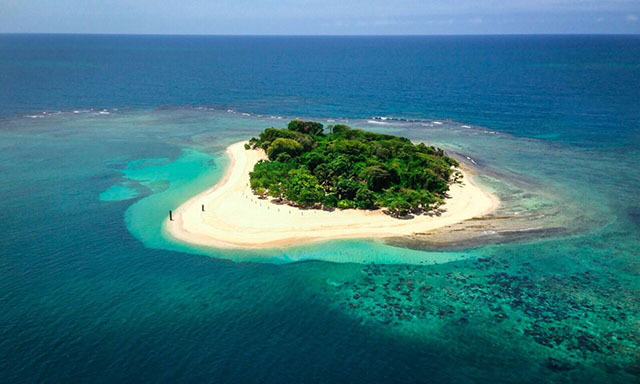 • Amiga Island: Coral formations, panoramic views and an attentive staff await you upon arrival. • Beverages: Sip a complimentary signature Amiga cocktail; additional beverages and snacks are available for purchase. • This tour is not suitable for guests with limited mobility. • Guests with concerns should consult their personal physician. • This tour is not suitable for full-time wheelchair/motorized scooter users. • Guest must be of legal age to consume alcohol.